Online and mobile content provider iSoftBet has seen a huge number of deals go in their favour this year. Their latest signing will see them producing content for operator William Hill. With William Hill’s diverse portfolio of offerings, this could lead to a number of great opportunities for iSoftBet. With the online casino industry getting more and more competitive, this deal could mean that iSoftBet could potential expand into areas like sports betting where William Hill already has a big presence. What will really be lucrative for the company is the announcement that William Hill will be converting some of iSoftBet’s top titles into land based machines, along with mobile and online offerings. This marks the first time that iSoftBet will be taking on a deal such as this but the decades of experience that William Hill has built up in diverse gaming sectors can only be beneficial. 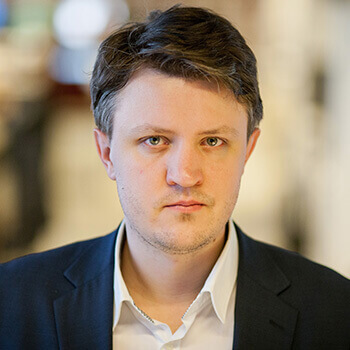 The head of iSoftBet’s business development, Michael Probert, said that they are very excited to be strengthening their product line with land-based games. He went on to reiterate that it will strengthen both companies. He is very excited to be able to give players the chance to enjoy iSoftBet games on a variety of channels: online, mobile and now land based. Director of Product and Content at William Hill, Andrew Sackey said that they are very excited to provide the fantastic pokie games that iSoftBet has built their reputation on at their land based facilities. The exclusivity that William Hill will have on these titles in UK land based casinos is a big win for them and they think their customers would be very happy indeed. 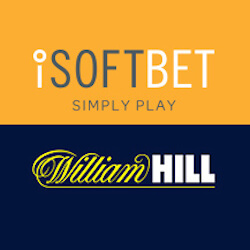 William Hill and iSoftBet will be working closely together to modify the games they are planning to release to make them appeal more to retail players. It may be quite a challenge to get the feel and pacing of the games right, but these two industry leaders should have no problem in meeting their demands. iSoftBet has built quite a reputation in the industry, not just for their quality casino content, but for their high level of industry standards and their multiple gaming licences. Since William Hill has reach into multiple markets, this could bode well for potential future plans to expand the land-based conversions of iSoftBet games into other countries. It would all depend on the success of this venture.